KUALA LUMPUR (Aug 2): Mass Rapid Transit Corp Sdn Bhd (MRT Corp) said it is currently undertaking the mechanical and electrical system works of Phase 1 of the MRT Sungai Buloh-Kajang (SBK Line or MRT Line 1), which is on track to meet its targeted completion by end-2016. 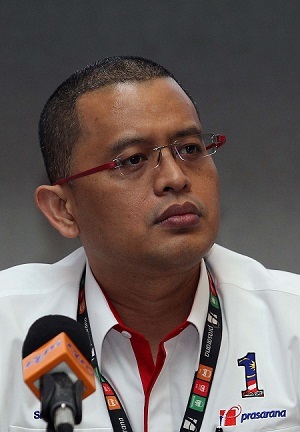 MRT Corp chief executive officer Datuk Seri Shahril Mokhtar (pictured) said 86% of the first phase of the line has been completed, with trial runs to start in October. "We now have only a few months to Phase 1 of the SBK Line between the Sungai Buloh station and the Semantan station becoming operational by end of this year. Progress for the line is now at 86%. "The tests and trial runs will not involve members of the public, as we have to be absolutely sure that everything works fine before we open the line to the public," he said. Meanwhile, Phase 2 of the SBK Line, comprising the underground and southern elevated sections, will be ready for operations by July 2017. For the MRT Sungai Buloh-Serdang-Putrajaya line (SSP Line or MRT Line 2), Shahril said the contract awards are progressing according to schedule. "To date, we have awarded a total of 21 work packages. Work has already begun in several locations involving activities like land clearing and utilities piloting," said Shahril. Shahril was speaking to reporters today, during MRT Corp's Hari Raya Open House celebration.